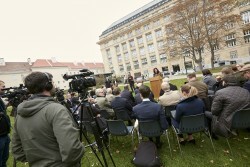 Austria commemorated the events 80 years ago. Austrian Shoah survivors from Israel received in Parliament at the Hofburg. 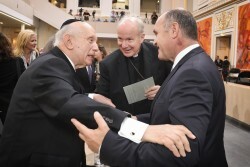 President of the National Council Sobotka asked Austrian Shoah survivors for forgiveness. Federal President Alexander Van der Bellen already reminded the day before at a commemoration ceremony of the November pogroms at the Psychosocial Centre of the Vienna Israelite Community. 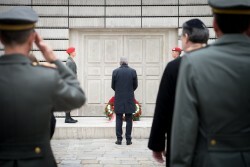 On the commemoration day he laid a wreath at the Shoah memorial on Judenplatz. The long-planned project of a name memorial wall for the 66,000 Jews murdered in Austria during National Socialism is about to be realized. Kurt Tutter, initiator of the name wall, explained the significance of the new memorial, which will be erected in Ostarrichi Park. For him, it was a matter of commemorating his family as well as families unknown to him who had been completely wiped out by Nazi crimes. 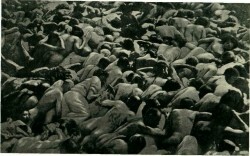 Reception for Holocaust Survivors in the Austrian Parliament: "Never again!" Rabbi Arthur Schneier from New York, speaking at the reception for Holocaust survivors in parliament, called for a common commitment to "Never again" and to live together in peace and mutual respect. 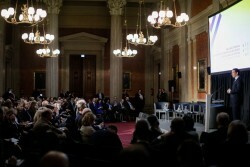 Remembering the Holocaust reminds us of our duty to speak out against the denial of these grave crimes and to work for tolerance and non-discrimination in our societies, said keynote speakers addressing the meeting of the OSCE Permanent Council, which was dedicated to commemorating the International Holocaust Remembrance Day on 27 January.